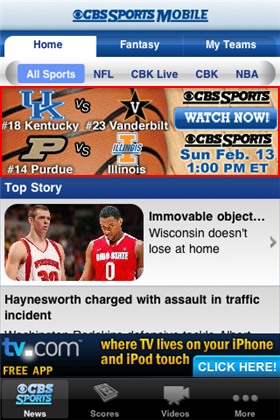 You’ll need to download the free CBS Sports Mobile – CBS Interactive app. The app itself isn’t anything terribly special, except for the part where you can watch college basketball games live, of course. 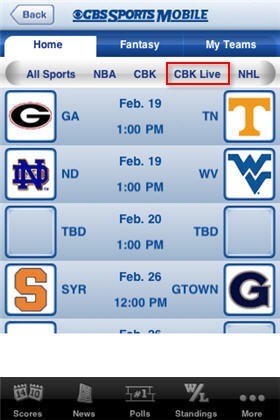 On the iPhone, you can find the schedule of upcoming games by clicking on CBK Live. You’ll find any lives games and upcoming games listed at the top right. As for the game experience, the video quality is quite good. 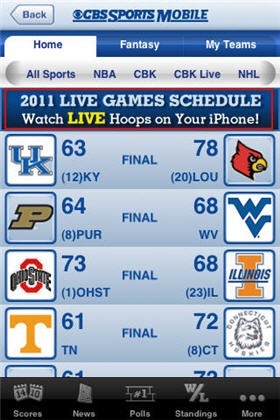 We would have no problem watching a full game like this on the go. You can pause and rewind in 30 second intervals. 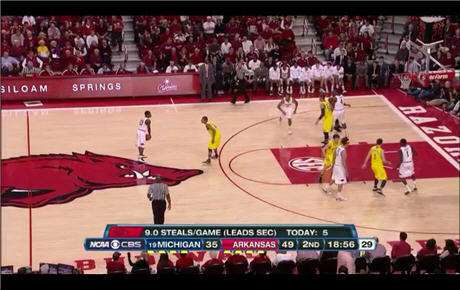 There aren’t any commercials… you just get a blank CBS Sports logo during the breaks. We did experience some occasional freezing from time to time on the iPod Touch and needed to restart the app. We tested over several weeks and during one of the weeks, we initially had some trouble getting the game video to come up, but it eventually did. Other than some reliability issues, there really aren’t any other negatives to this app. 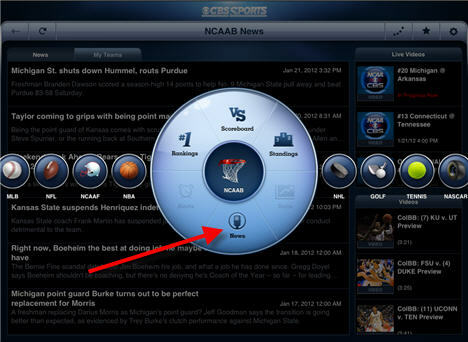 It’s free and you get live CBS Basketball on your iPhone, iPod Touch, or iPad. Whats not to like? 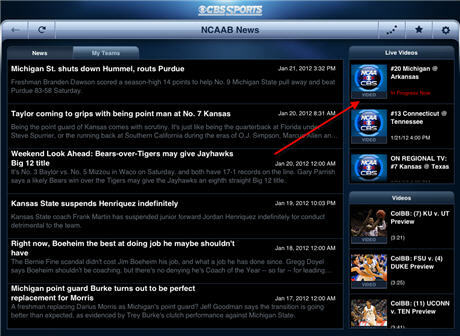 You can get the CBS Mobile app for Android, but unfortunately the live games are not available on the Android devices.